Sleeping well helps us to be happy and healthy. Most adults need between six and nine hours of sleep each night. There are lots of helpful tips for a good night’s sleep on the NHS webpage, including being active during the day, avoiding caffeine after 5pm and regular bedtimes. Our sleeping patterns naturally change as we get older, so it’s not unusual to have trouble sleeping. This means that many of us can struggle to get to sleep or stay asleep, leaving us tired the following day. A healthy lifestyle really helps us to sleep better. See our website homepage for information about local services to help you be more active, manage your weight, stop smoking, drink less or feel less stressed. The local South Gloucestershire Talking Therapies service provides free support if you are having trouble sleeping because you are stressed or feeling down. The service can be accessed either via a self-referral or your GP and offer both individual and group support (typically six sessions). Sleep and Special Educational Needs and Disability; guidance and support for parents and carers, and those working with families with children and young people. Sleep is extremely important to support development both physically and mentally. This toolkit will develop awareness of the importance of sleep and offer information, advice and guidance to prevent sleep issues occurring. It will also include tips on how to manage sleep issues that often arise. 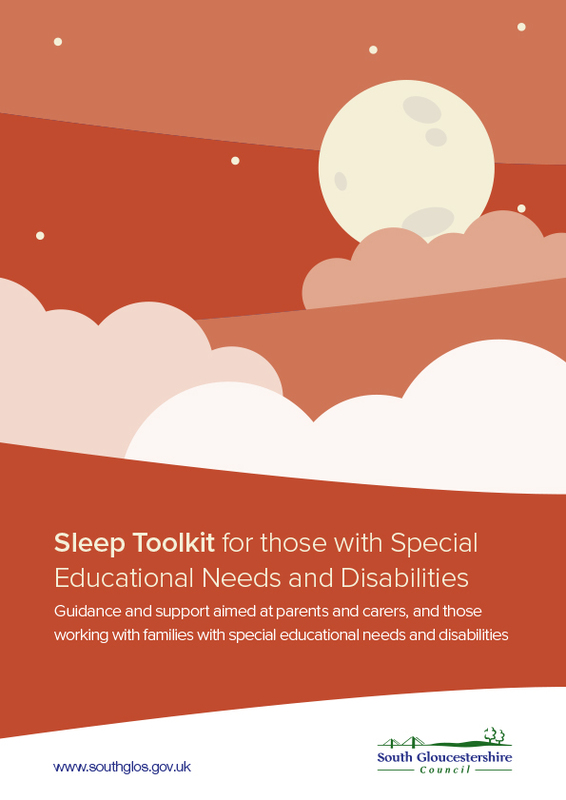 This toolkit provides guidance and support and will develop awareness of the importance of sleep and offer information, advice and guidance to prevent sleep issues occurring. Three other toolkits (all ages related) toolkits for Early Years, Childhood and adolescence are available from the South Gloucestershire Council Edoc library.